The Perfect Drawing Method is specially developed to give anyone using it confidence and a sense of achievement very quickly. Our in-depth study of the techniques of the masters has revealed a range of aids that can be used to enable anyone to draw high quality images. 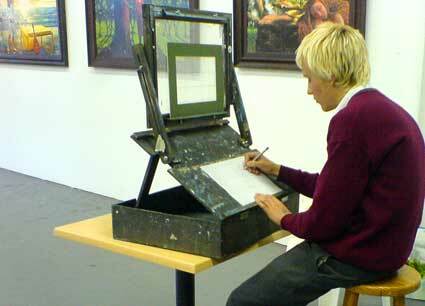 Our specially developed Perfect Easel has combined three methods of use built into it to enable rapid drawing confidence. The exercises practiced with it follow those used by Holbein, Ingres, Vermeer and Van Gogh amongst many other artists who used these methods.